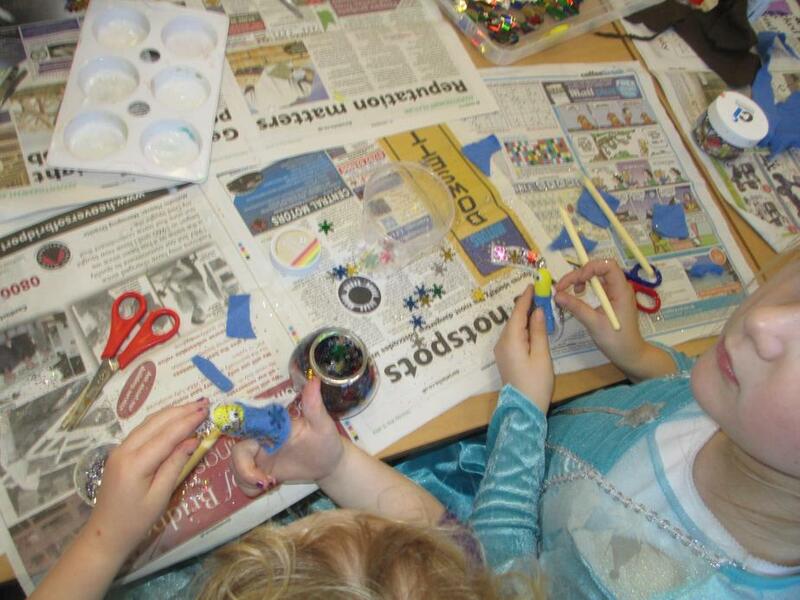 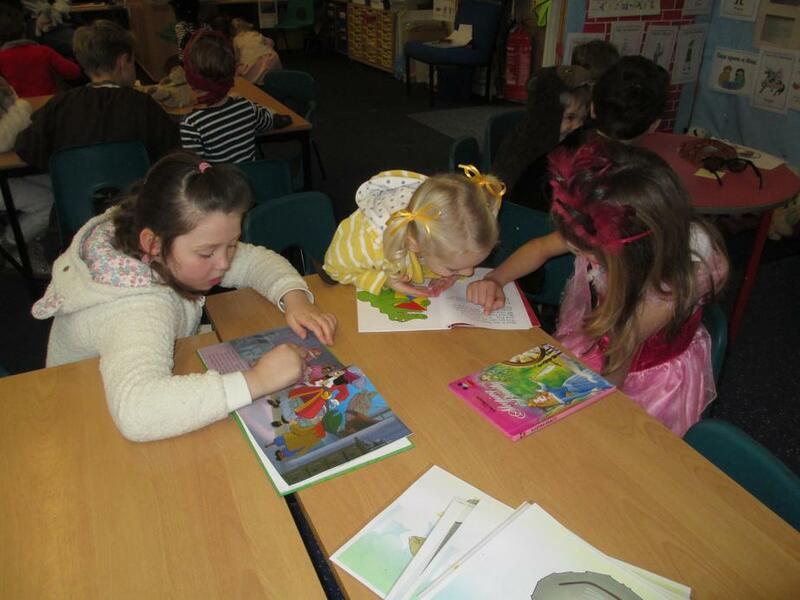 This week has been such a fun week to come back to school to after the Christmas holidays. 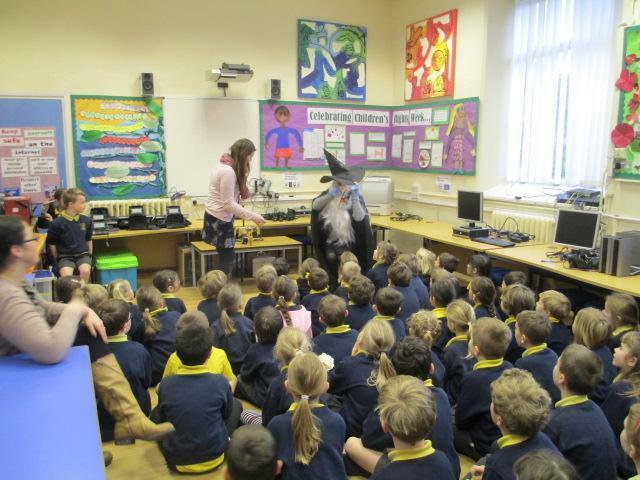 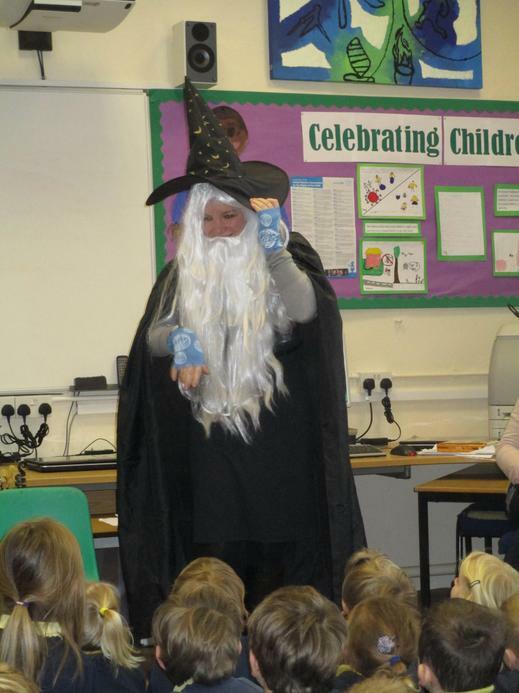 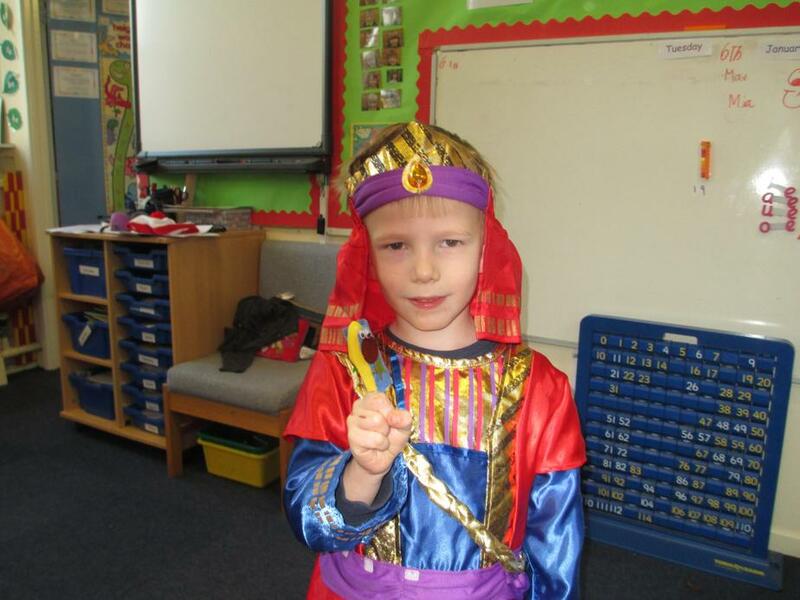 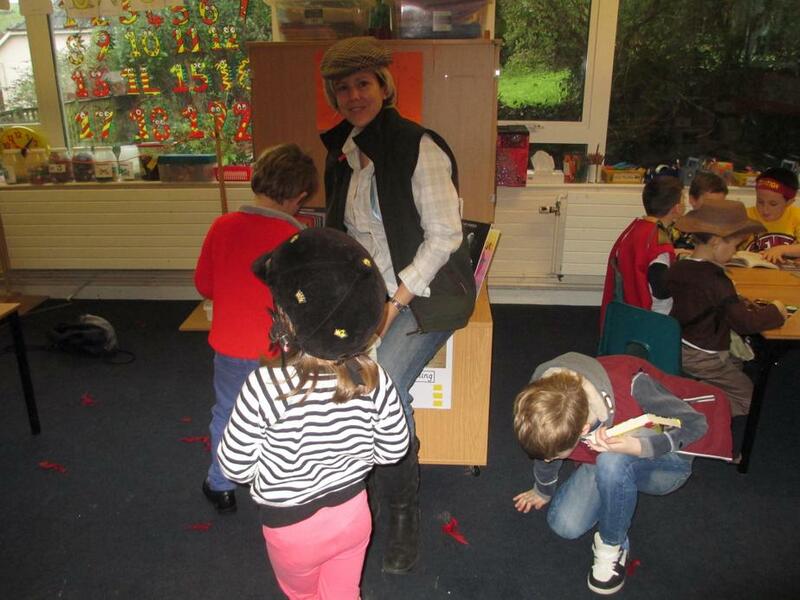 We started this week with Mrs Dalgleish finding a sorcerer in her cupboard!!! 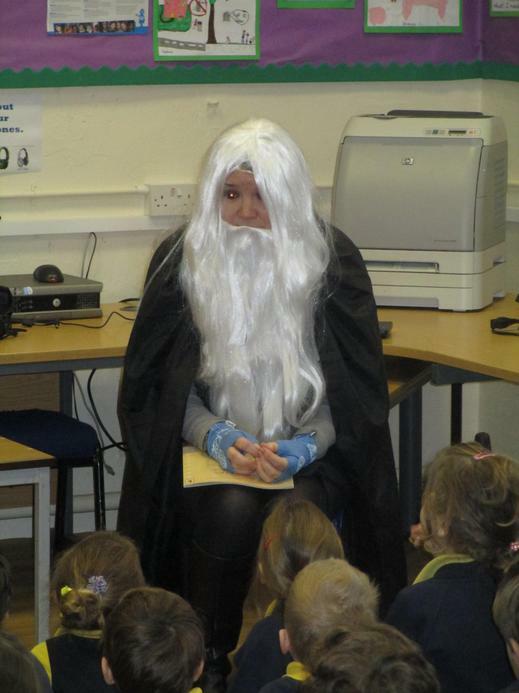 He was not very happy and told us part of his story about the reason why. 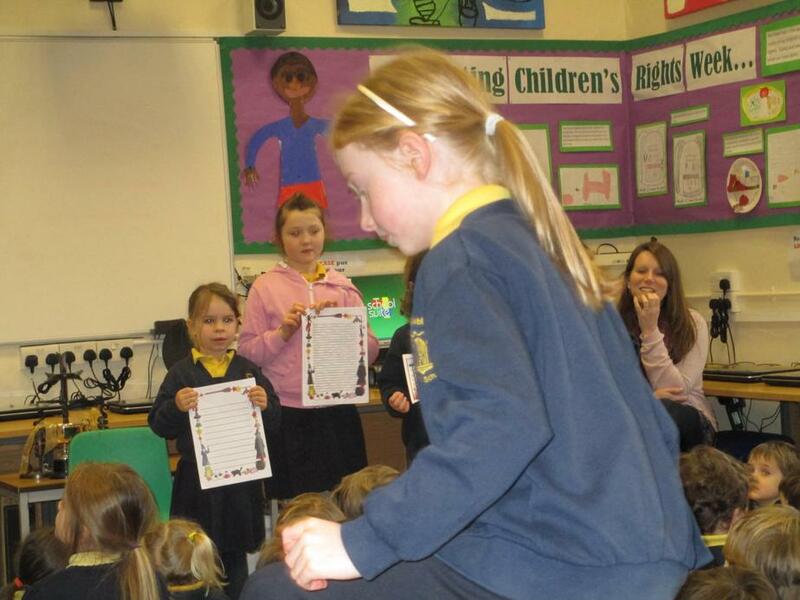 We then wrote how we thought his story finished and this really cheered him up. 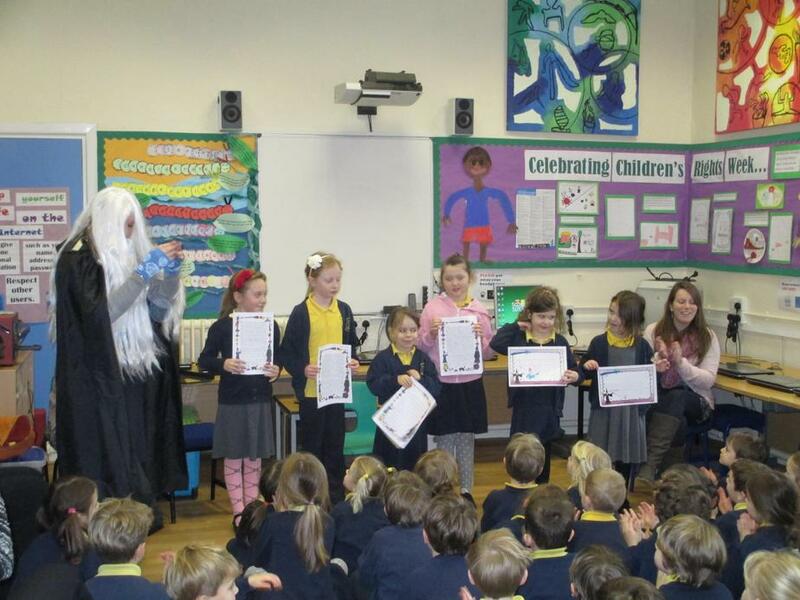 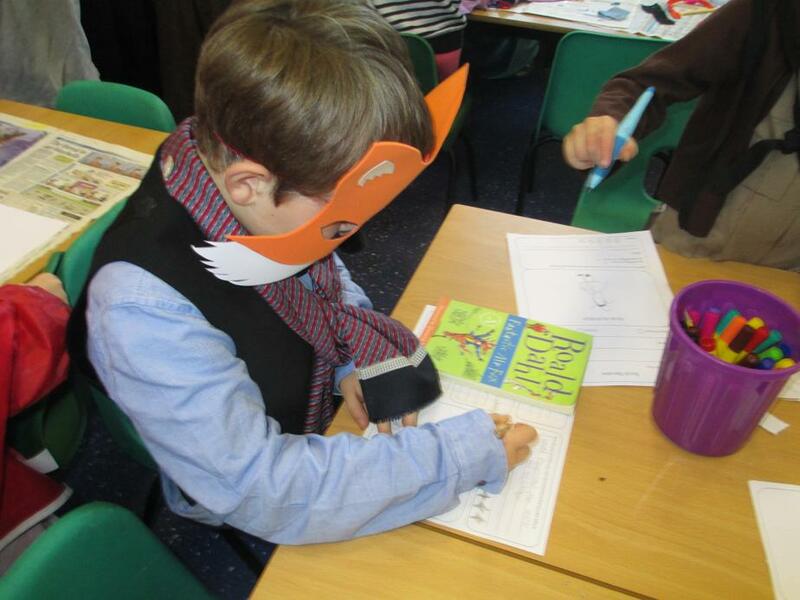 He could not quite believe what fantastic writers Cerne Abbas First School has. 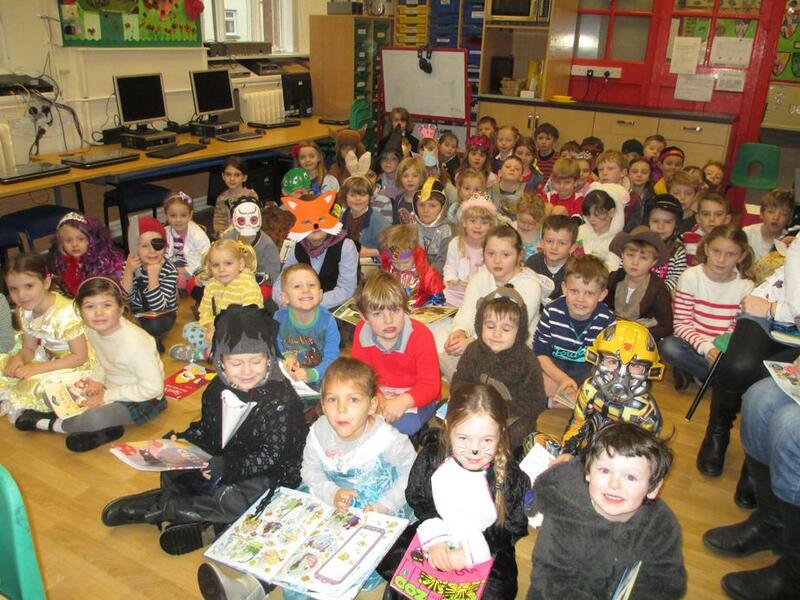 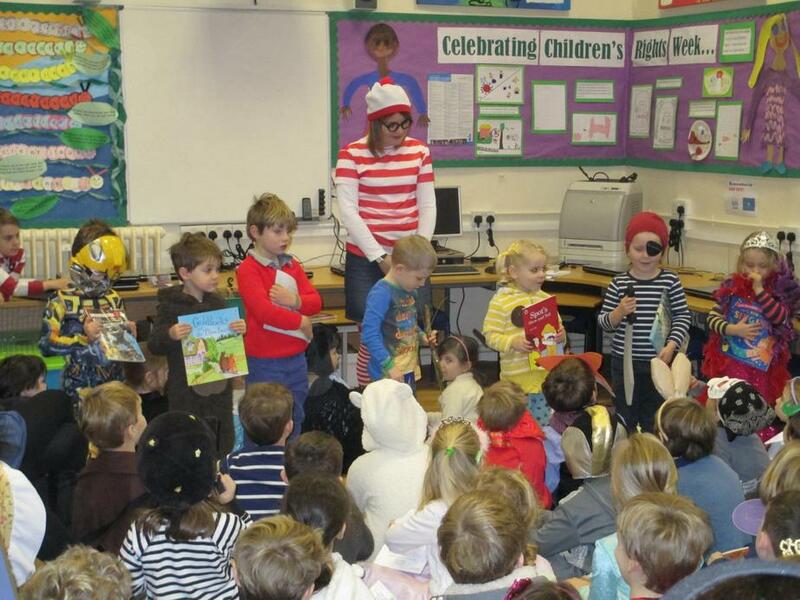 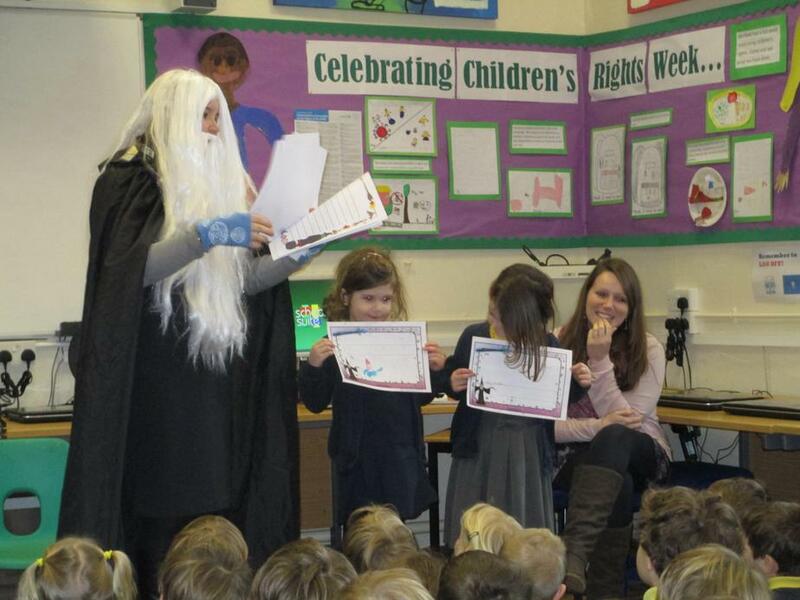 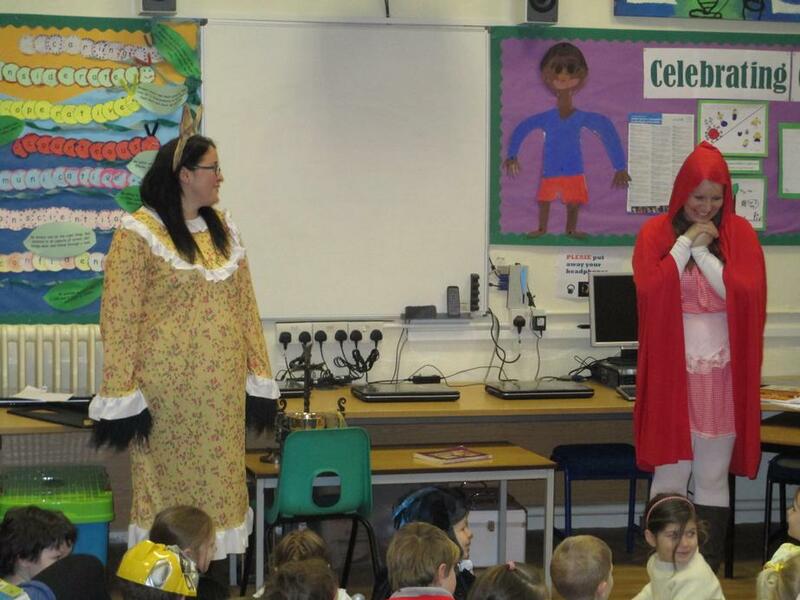 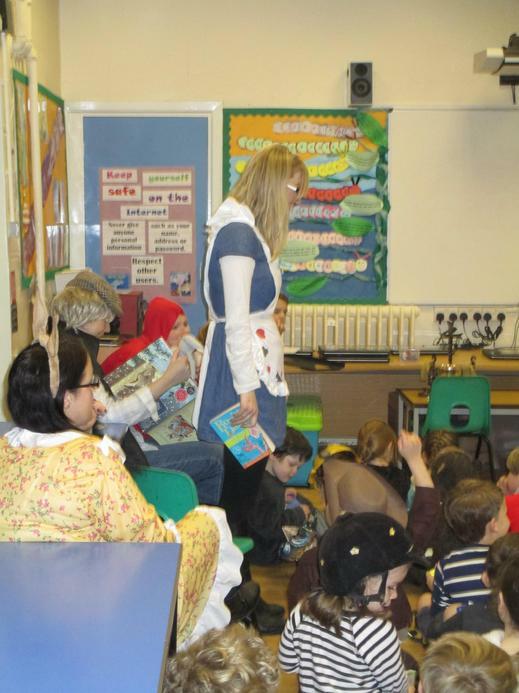 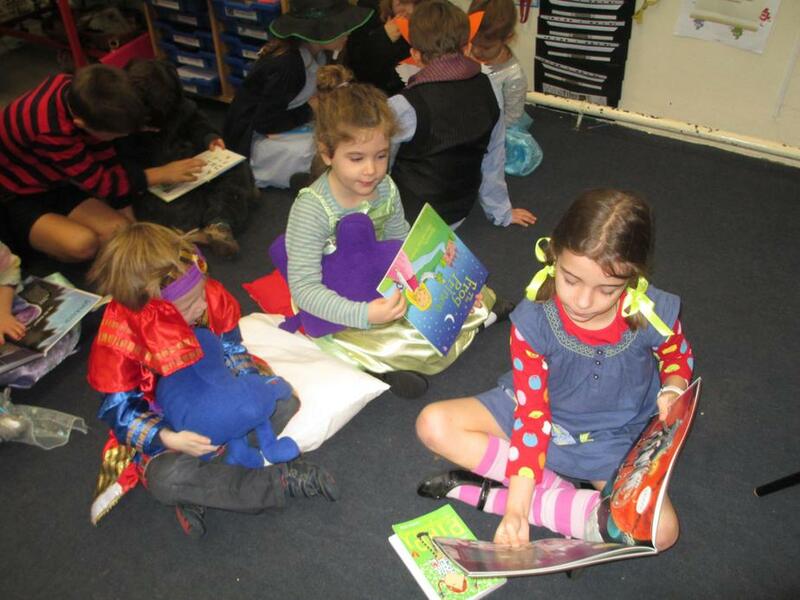 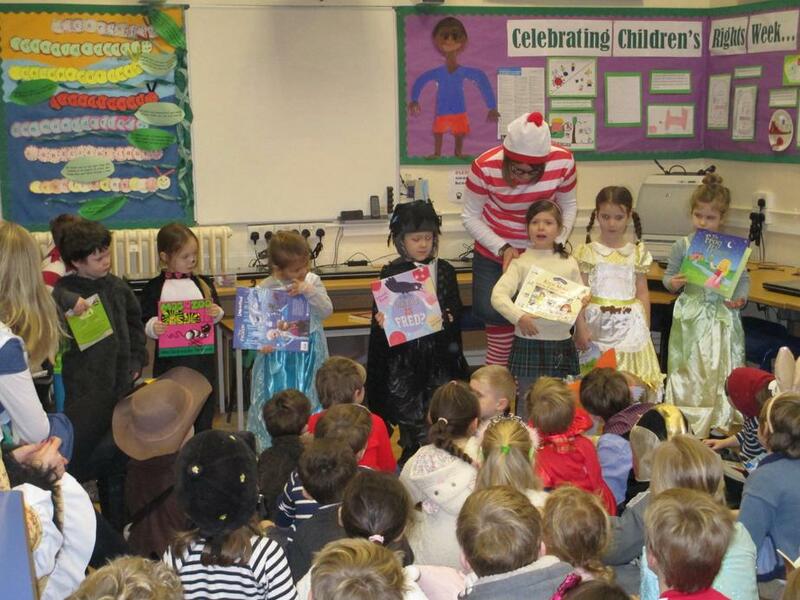 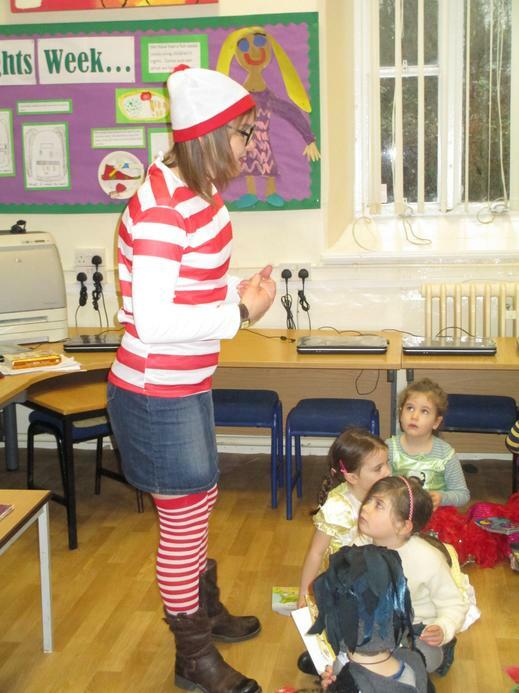 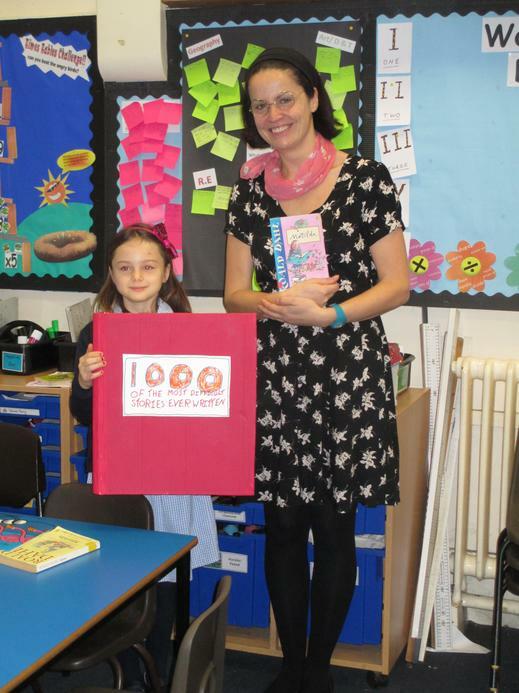 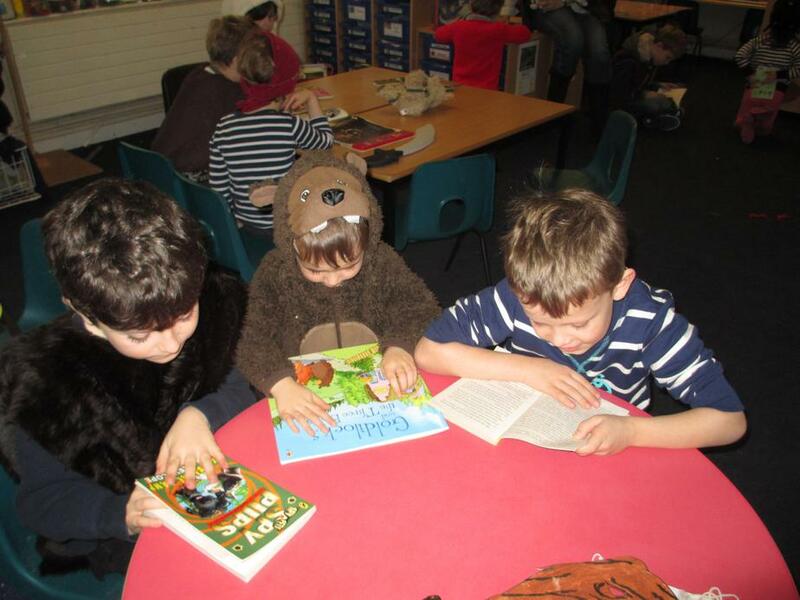 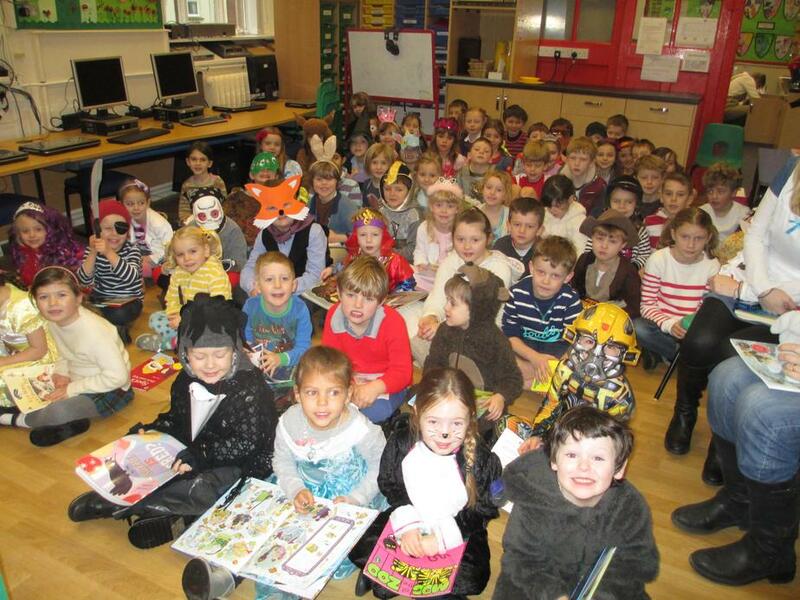 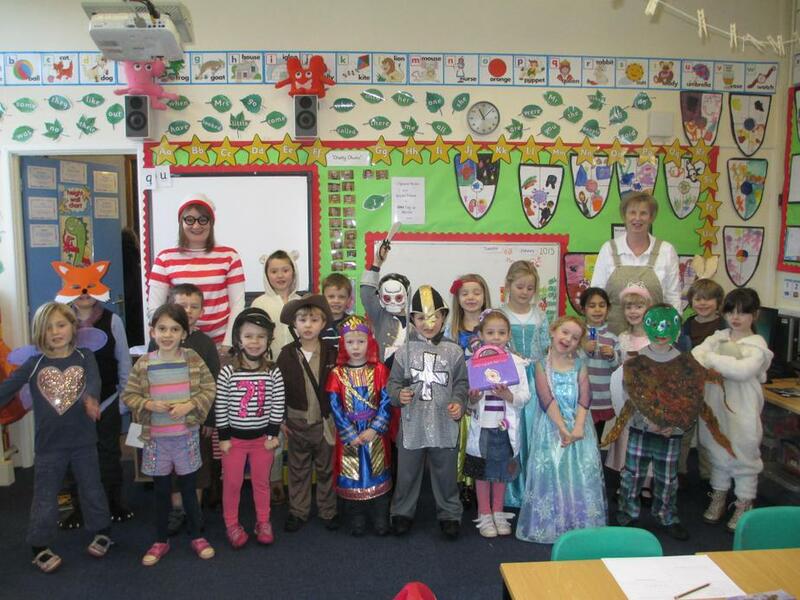 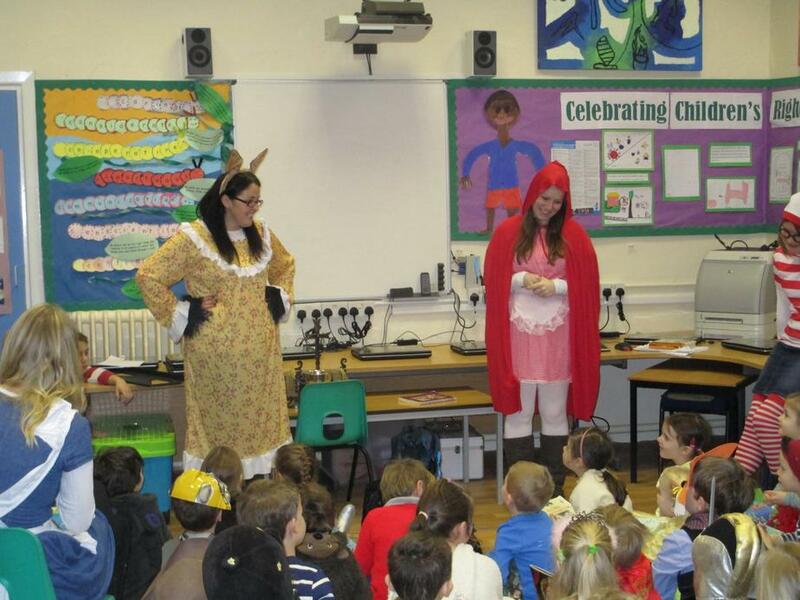 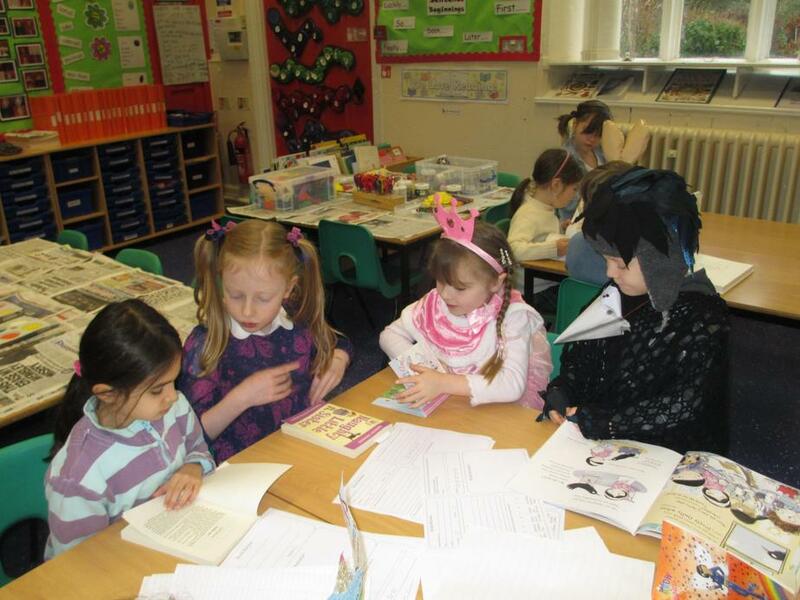 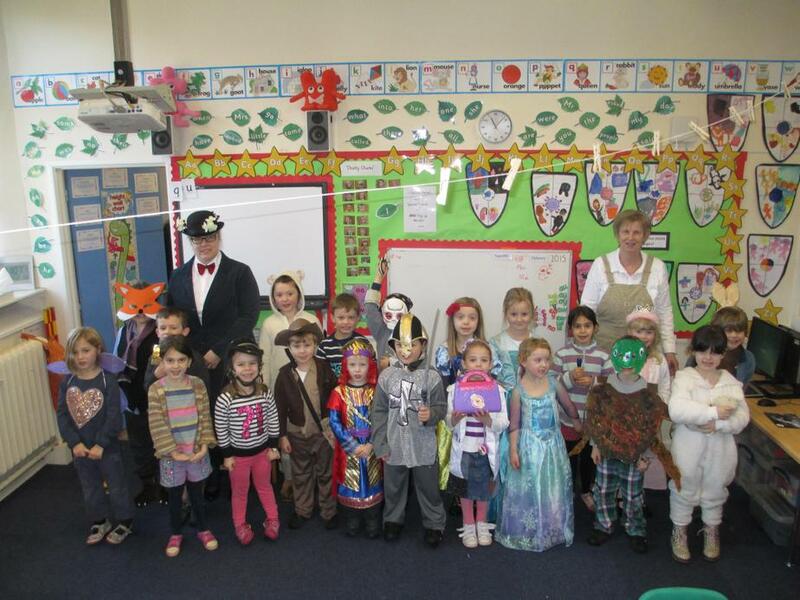 On Tuesday we all dressed up as our favourite book characters. 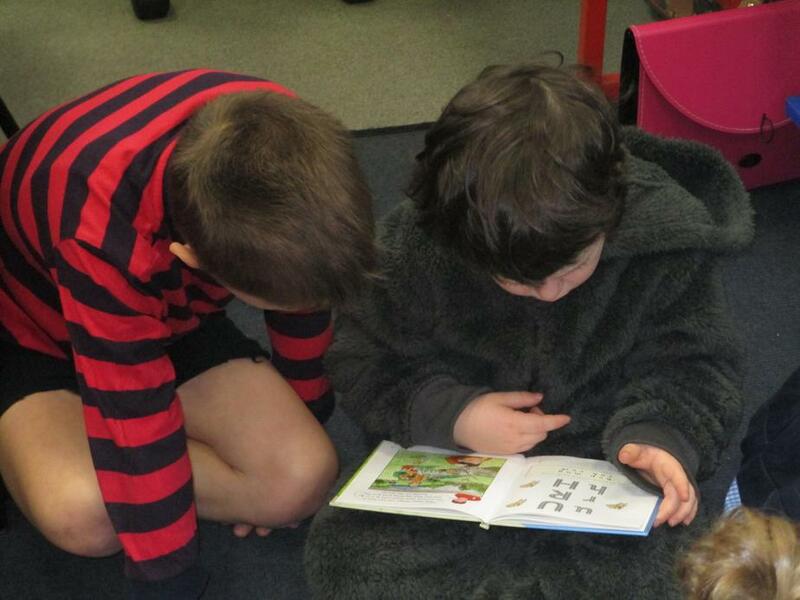 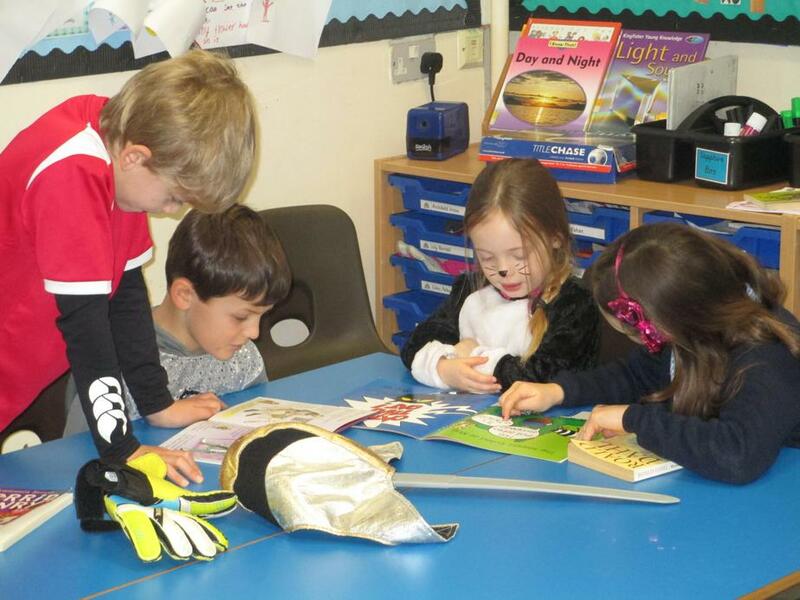 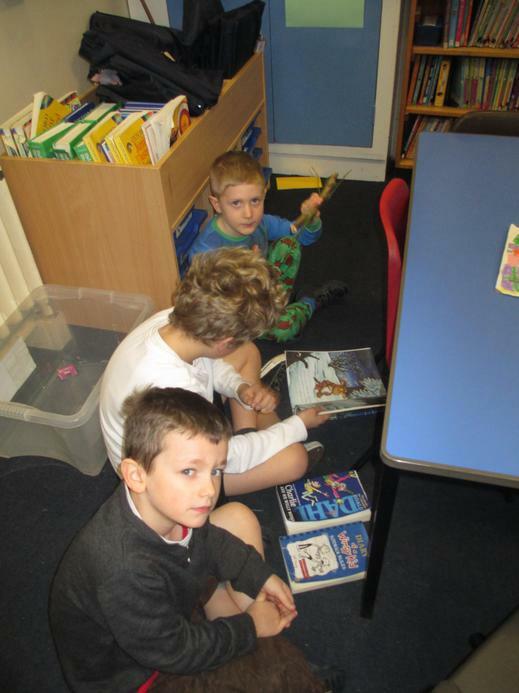 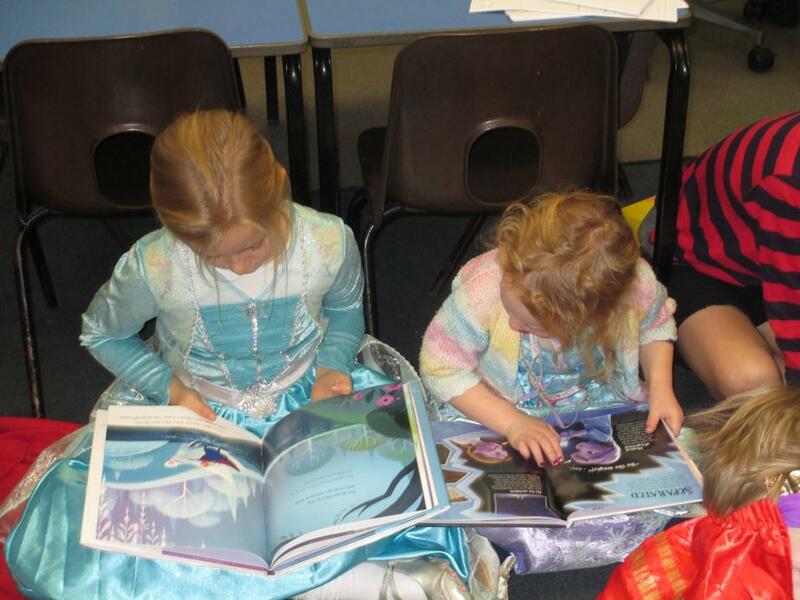 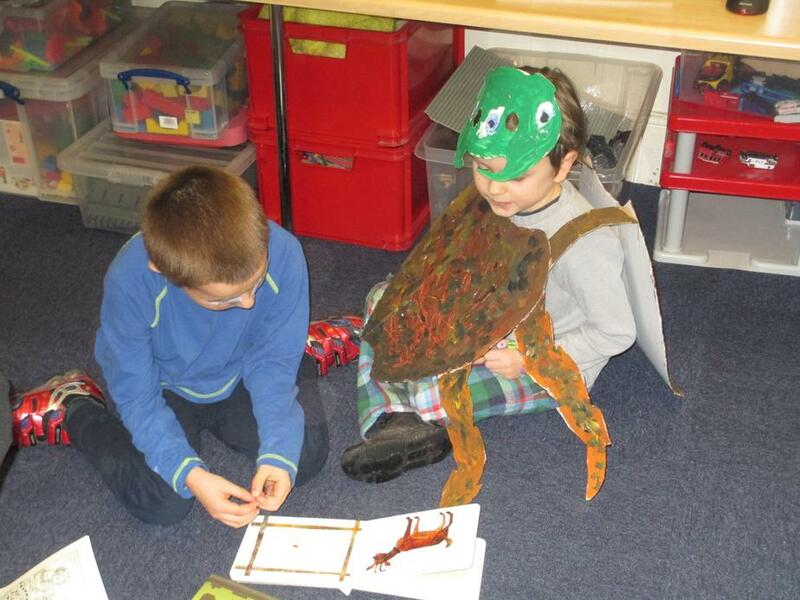 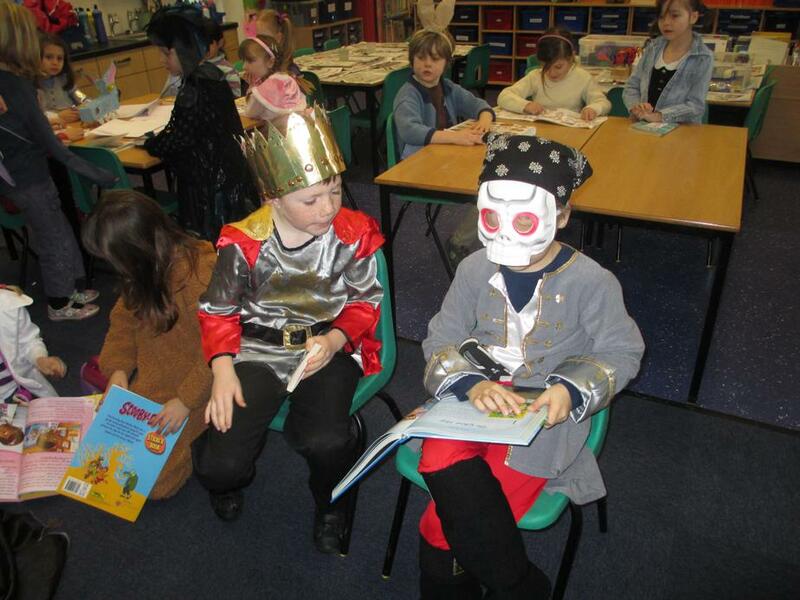 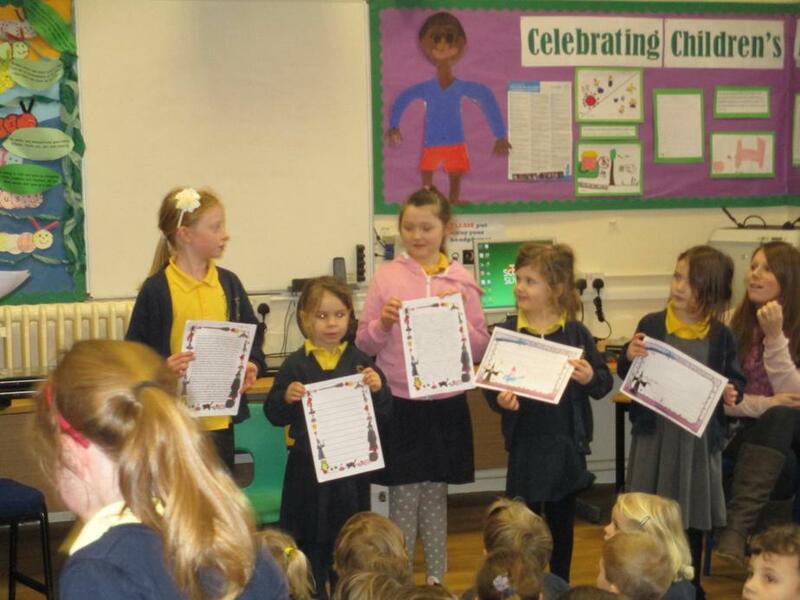 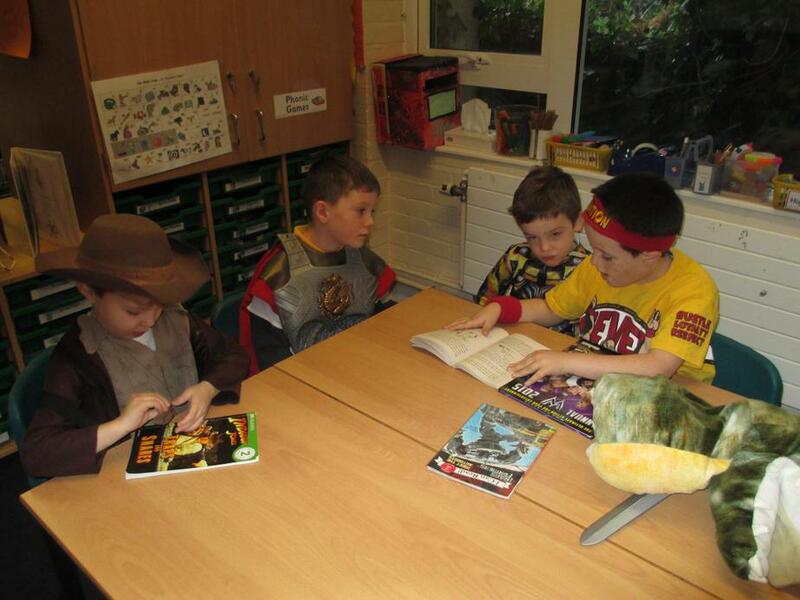 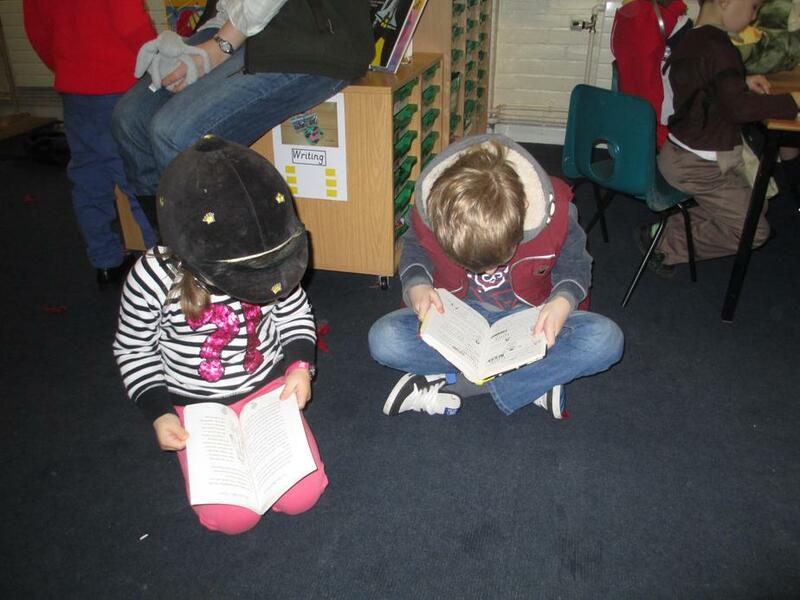 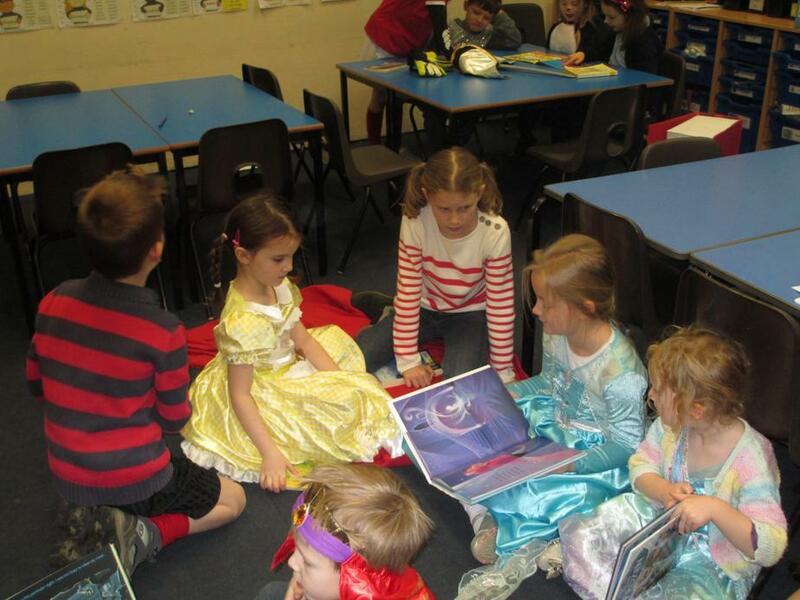 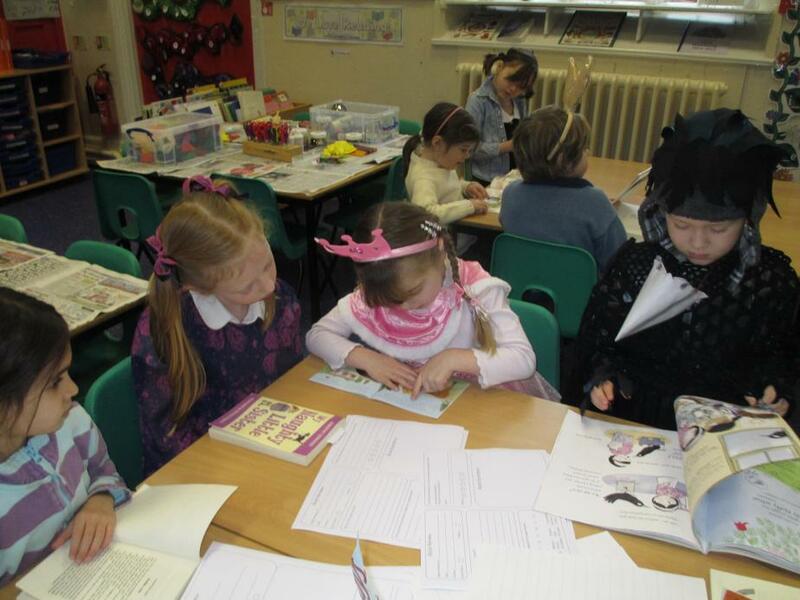 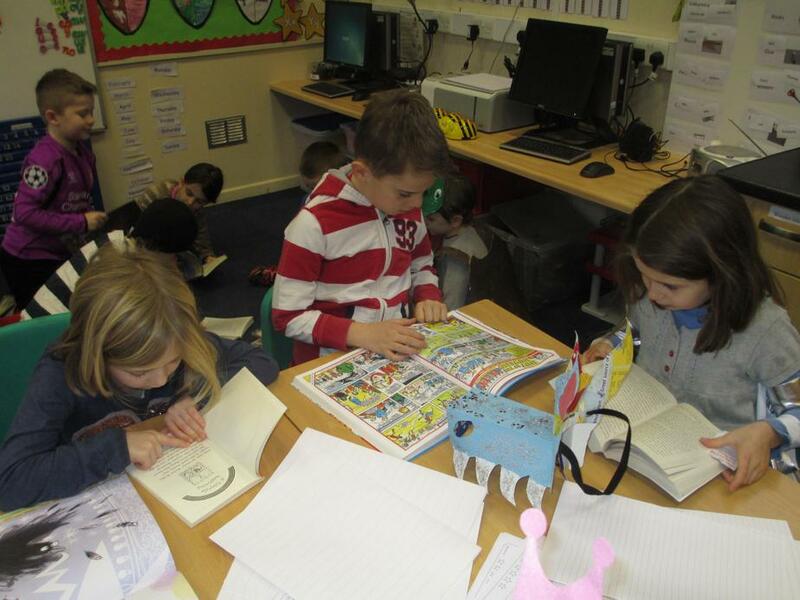 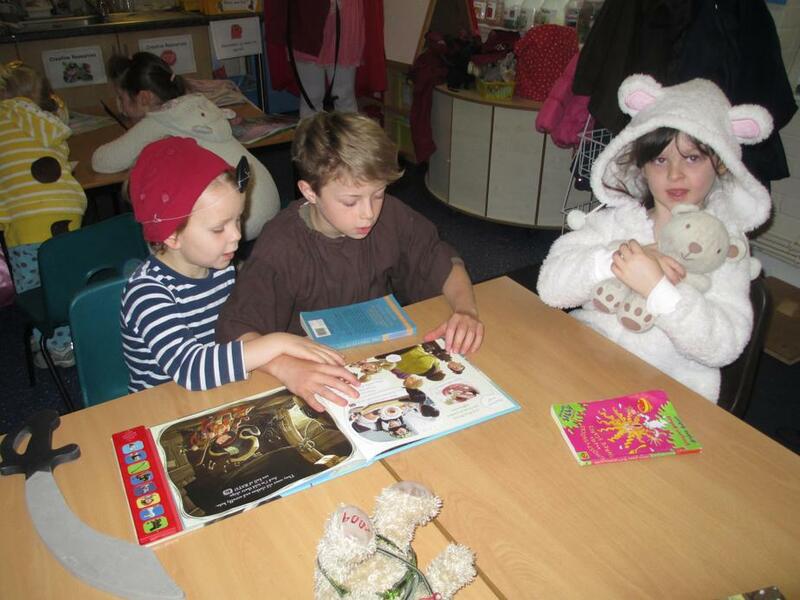 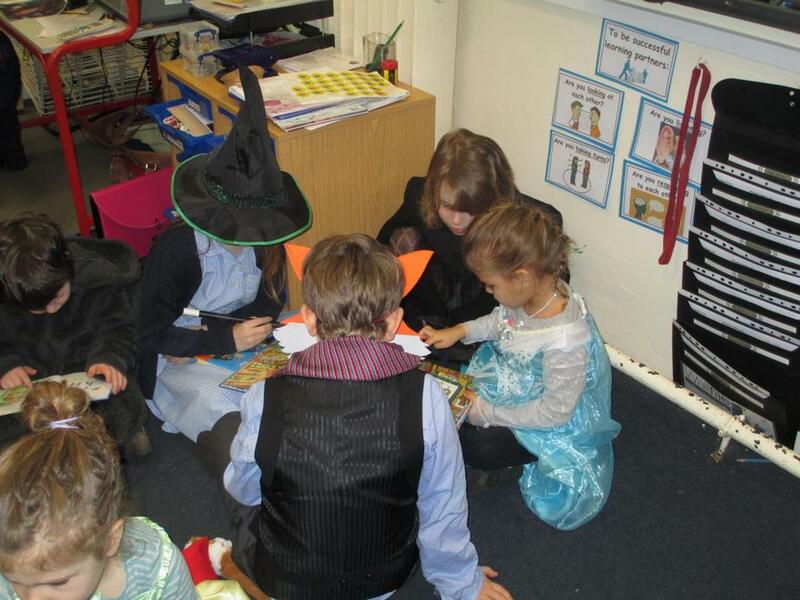 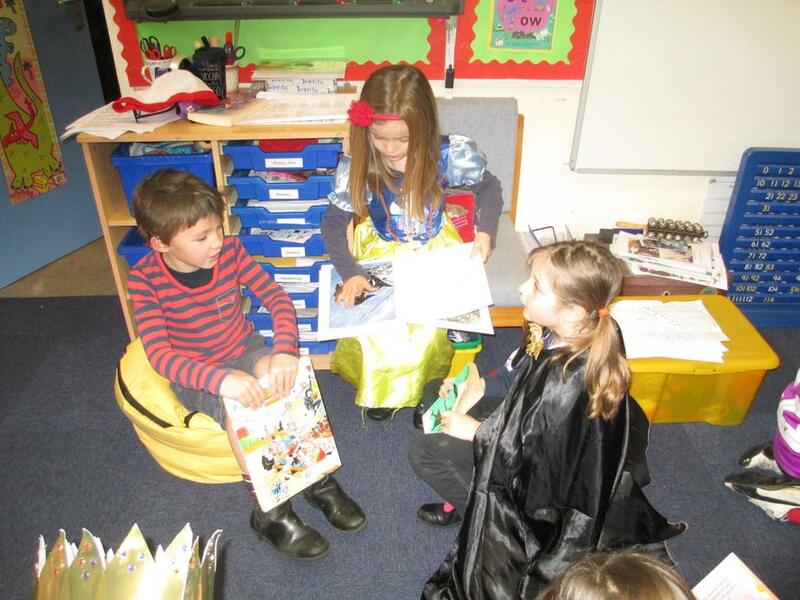 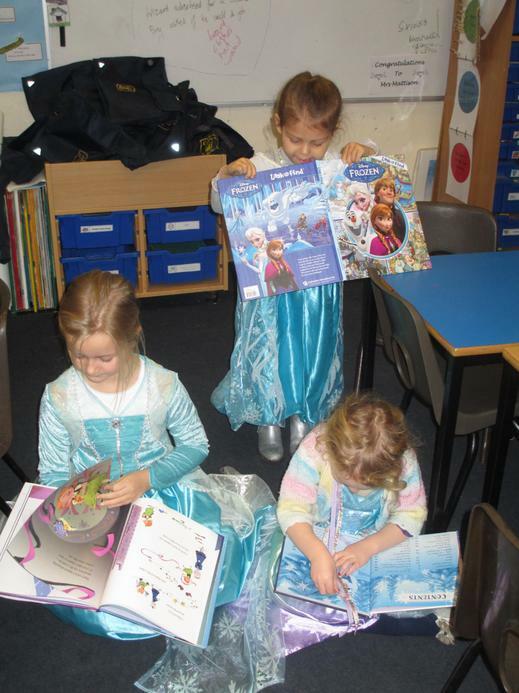 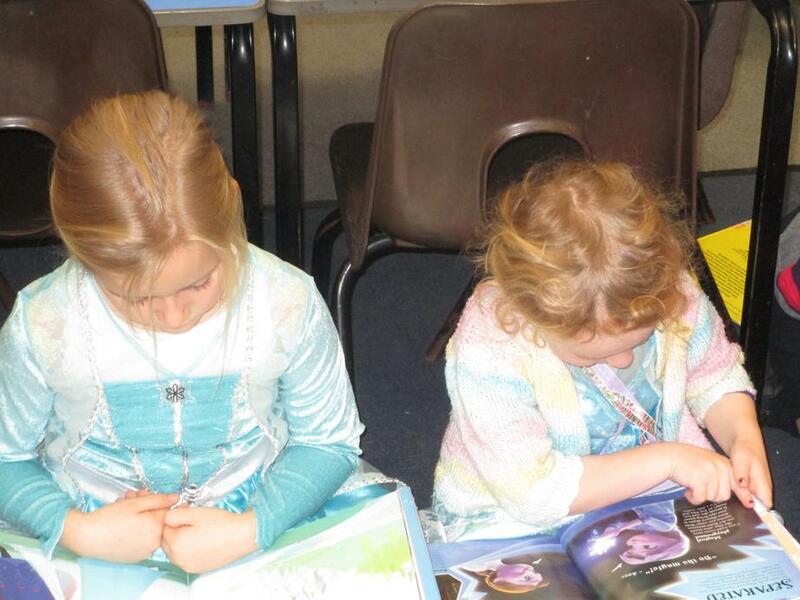 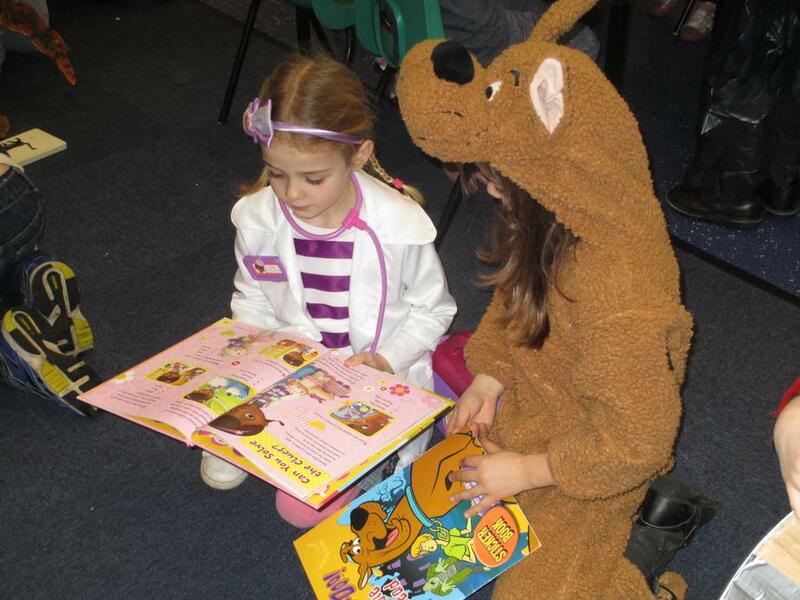 We shared books with each other and took part in fun reading activities about the characters that we had come dressed as. 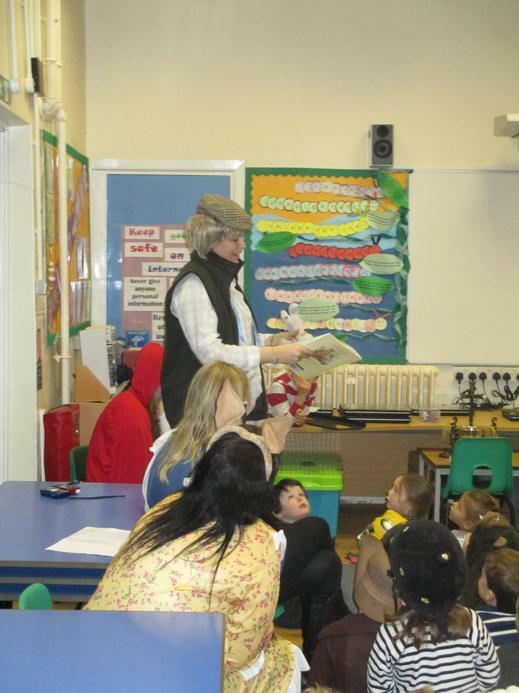 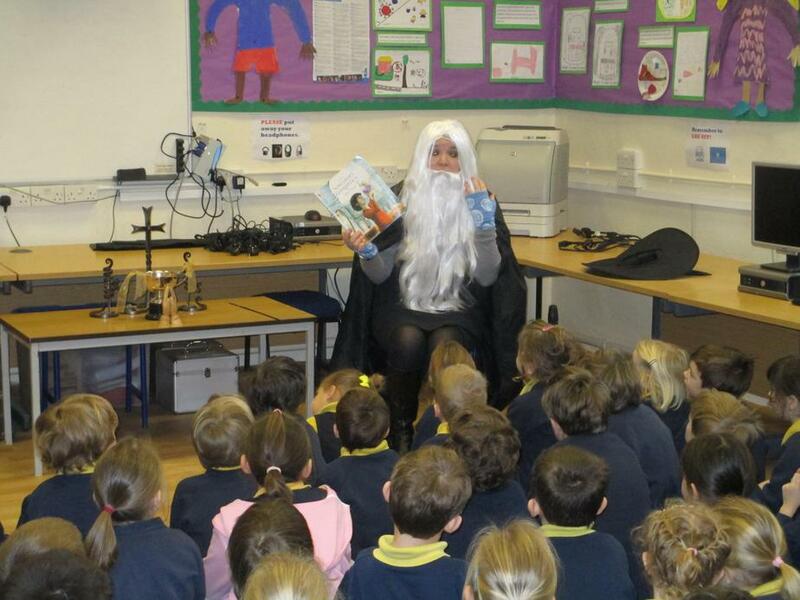 On Wednesday we had a storyteller and author come to visit us called Chris Connaughton. 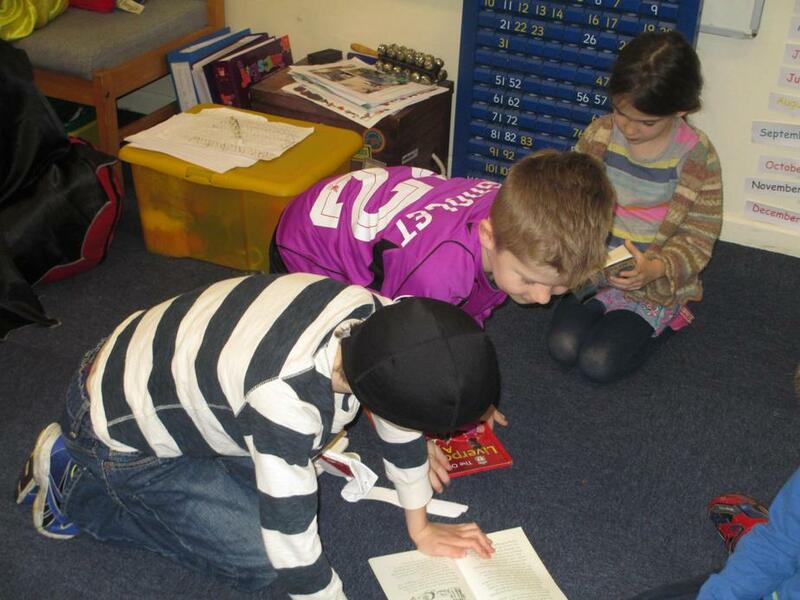 He retold stories and gave us tips on how to write interesting stories. 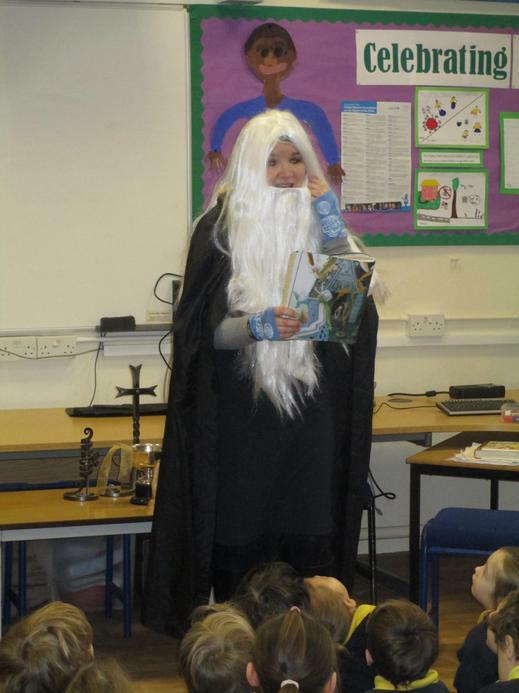 He was great fun. 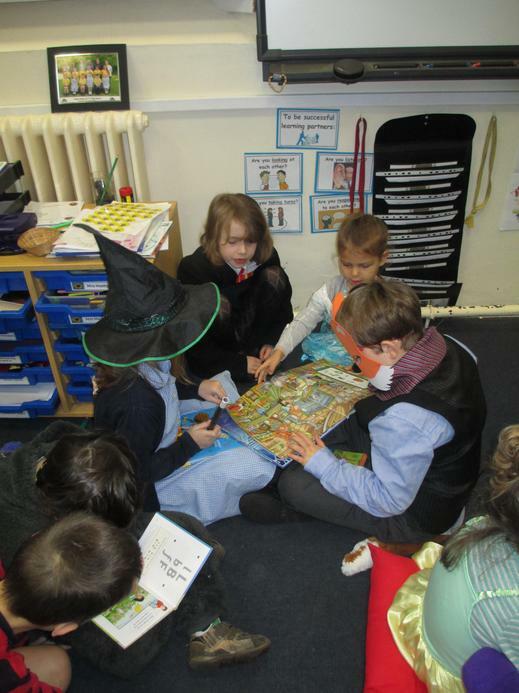 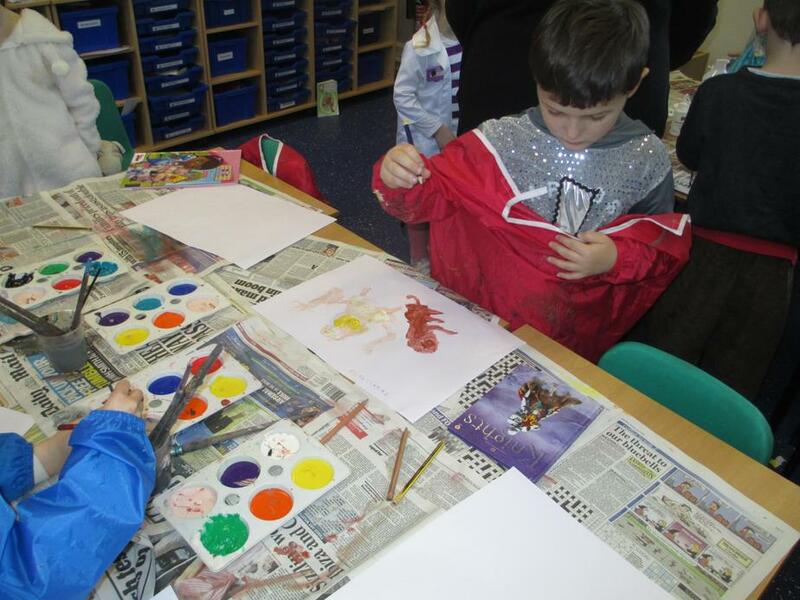 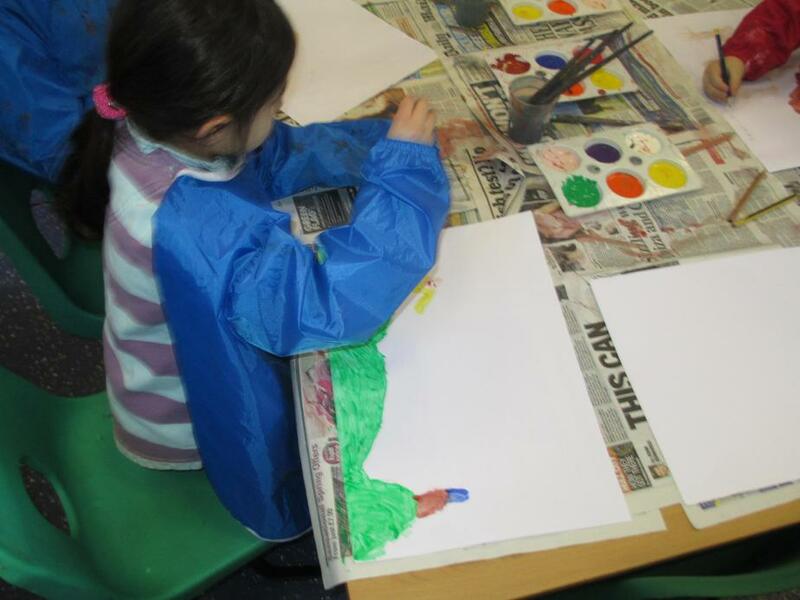 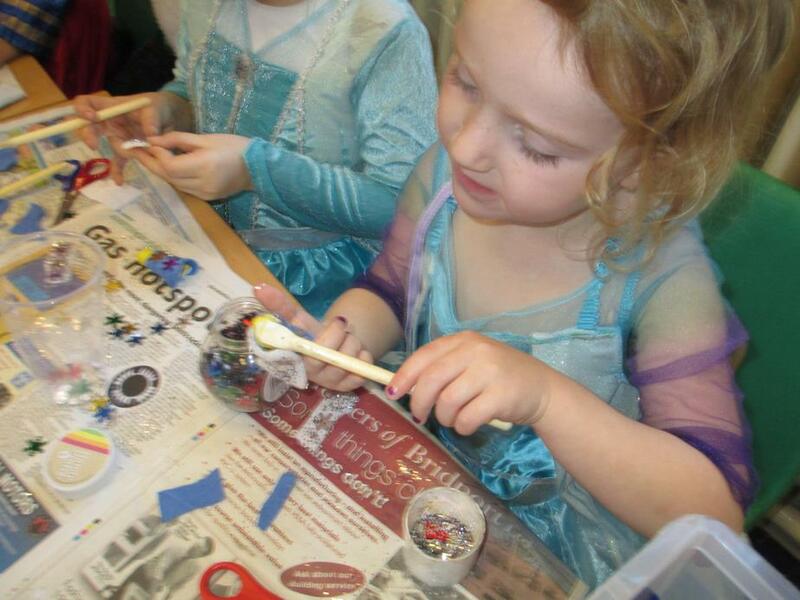 Finally on Thursday the Trendle class joined the Giant class to share story sacks. 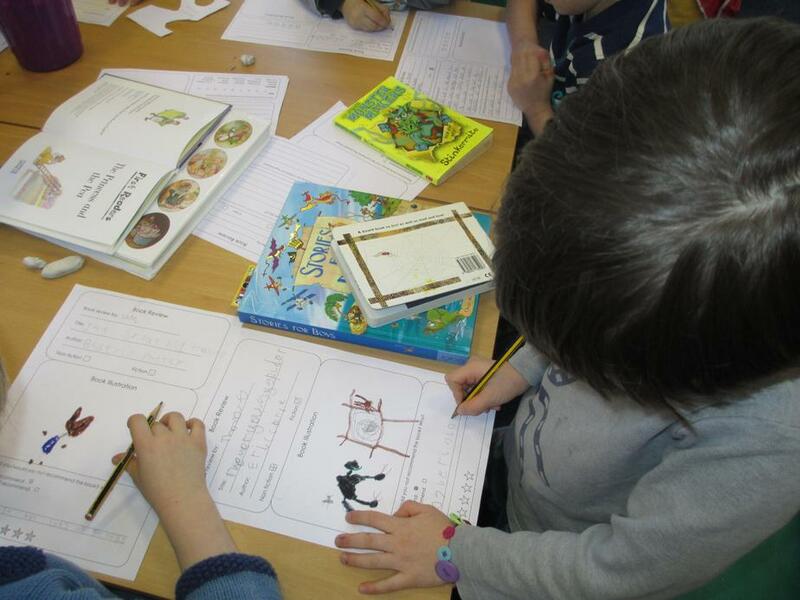 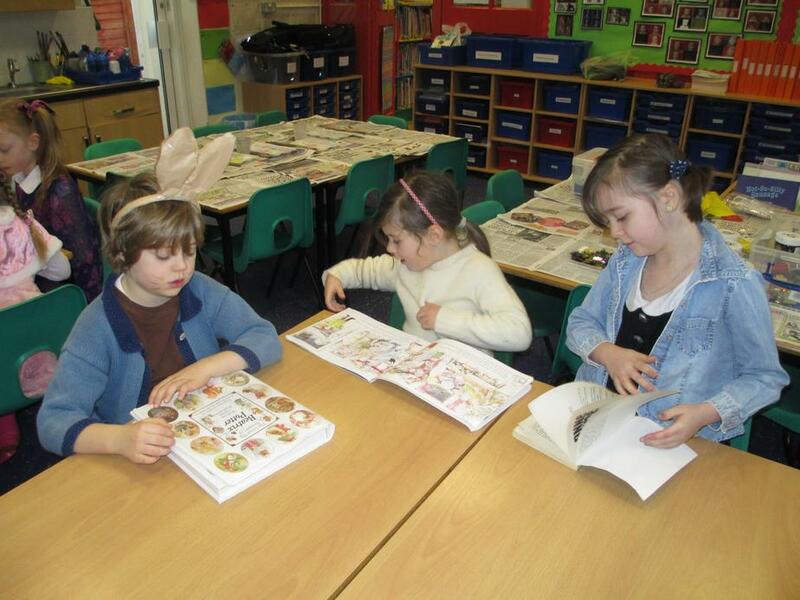 We were concentrating on how to retell stories using the correct story language. 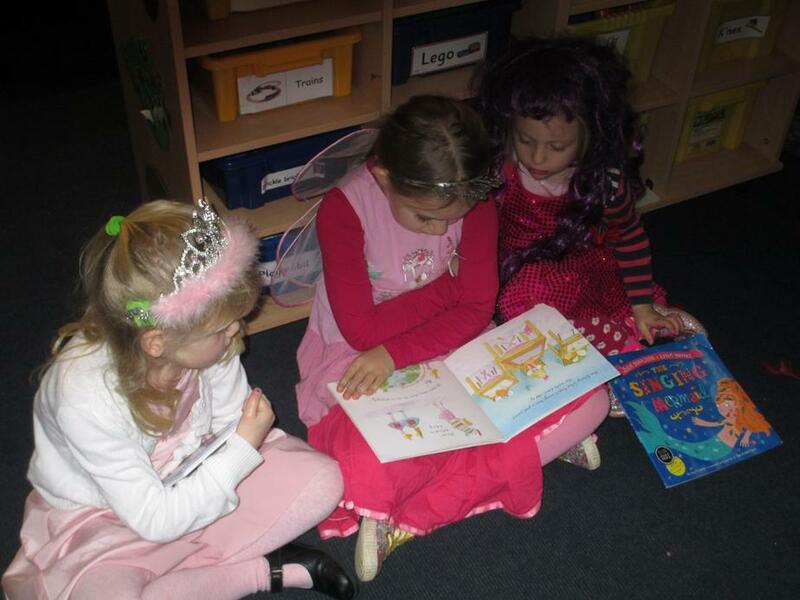 It was fun to hear each others retelling of stories.